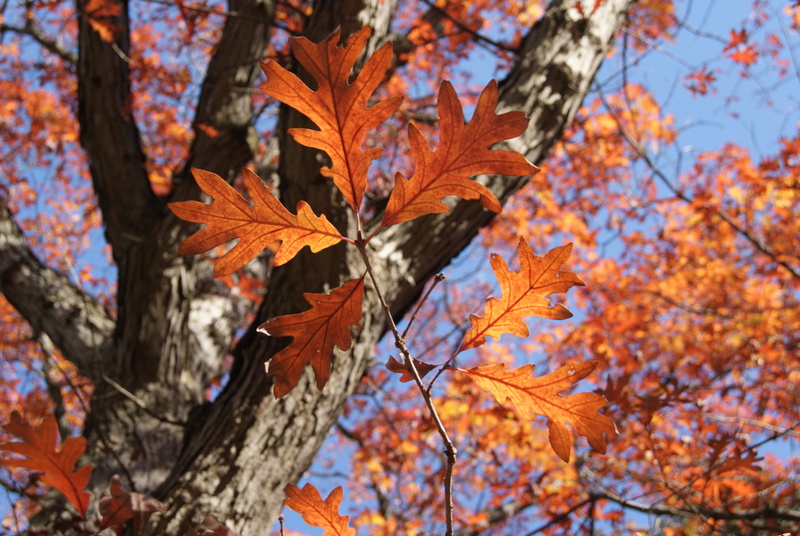 The white oak has leaves with rounded lobes. O is the fifteenth letter of the alphabet and the fourth vowel. O is the human blood type of universal donors. O is the chemical symbol of the element oxygen. O’ as a prefix for a surname is the Irish abbreviation for “of the family”. o’ stands for “of” in contractions such as “o’clock” and “man-o’-war”. OK stands for okay and means that everything is all right. OK is also the state postal code for Oklahoma, USA. O levels (ordinary levels) was a level of secondary school examinations, part of the General Certificate of Education (GCE) in parts of the United Kingdom. It was replaced by the General Certificate of Secondary Education (GCSE) in 1988. O levels are the equivalent to Grade 10 in Canada. ON is the official provincial postal code for Ontario, Canada. O.R. or OR is the abbreviation for Operating Room. OR is also the official postal code for Oregon, USA. Oz is slang for anything Australian. Oz is also the mythical country and city portrayed in the film, The Wonderful Wizard of Oz. oz. is an abbreviation for “onza”, Italian for ounce, a unit of measurement. Identify more abbreviations, acronyms, and codes starting with the letter O. In the list of “Some O Words,” which have a hard O, a soft O, or a diphthong? Have you ever seen an ostrich swallow an orange? The royal or pedunculate oak (Quercus robur) is the national tree of England, the United Kingdom, Croatia, Latvia, and Estonia. Other species of oak represent Germany, Ireland, Moldova, Poland, Portugal, Romania, Serbia, the United States, and Wales.